For those of you who have not visited this sacred site, I should mention that the complex is roped off. Visitors observe the stones from a distance and are not permitted within the temple complex……….special access tours allow you to be amongst the stones and to actually touch them. A guide will bring to life its many myths, legends and rich and fascinating history. All tours depart from central London and Salisbury. This truly is the best way to experience Stonehenge! There are a number of companies offering this service (some better than others) and I will post their available dates and contact details on this blog first. Remember some tour operators only take small groups and demand is high, many filling up months before – you have been warned, book early! Simply bookmark this page or ‘follow’ this blog and I will post all Stonehenge ‘inner circle’ tour dates in advance with details on how to book and get a discount…………. How much more rewarding it would be to be able to walk unfettered beyond the “velvet rope” that keeps visitors at bay. Well, an average of 1,000 people a month are lucky enough to get up close for a personal experience of the stone circle. On a range of days throughout the year, people who book ahead can get access to the heart of the site, in groups no larger than 26. A brief history of Stonehenge, I mused as I huffed and puffed, is an impossible task. Suffice it to say that around 5,000 years ago, a circular ditch and mound was created. The site’s initial purpose seems to have been as a cremation cemetery. Perhaps half a millennium later, around 2500BC, standing stones were introduced – including the massive slabs topped by lintels that give Stonehenge its popular profile. The 21st-century explorer needs the Ordnance Survey Landranger map 184, “Salisbury & The Plain”. The place names provide a mix of excitement (Old Sarum, Druid’s Lodge, Longbarrow Cross Roads) and foreboding (Breakheart Bottom). A gothic font pops up a lot, highlighting a remarkable density of earthworks created by ancient Britons as gifts from the living to the dead. Everyone else on my tour had the good sense to arrive by coach: a company called Premium Tours has a regular day-trip schedule from London, which also includes Laycock and Bath. With a moment of trepidation, I stepped past the “No admittance” sign and on to the soft, springy grass, unwittingly triggering a faint mist of dew. Like latter-day pilgrims, we followed the tour leader, Jason Ridgley, to the “altar stone” at the centre of the circle. Up close, you are overwhelmed by the scale of the construction: blocks of hard sandstone from 25 to 50 tons, quarried from the Marlborough Downs and dragged by weight of numbers and sheer determination around 4,000 years ago, to form a circle of 30 massive stones. They were topped, thanks to primitive but effective inventiveness, with huge lintels. Many of them have fallen, but here in the centre of the circle you can easily envisage its completeness. The brute physical achievement is matched by remarkable sophistication about the workings of the cosmos. 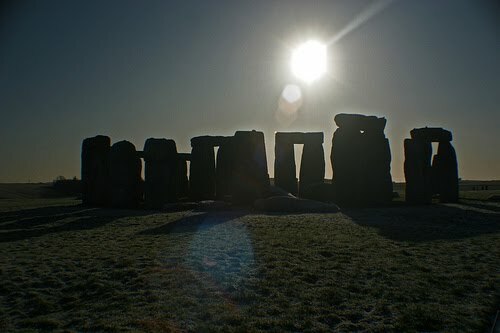 The stones appear to have been aligned so that at dawn on the summer solstice, the sun rises directly in the line from the “heel stone”, set beyond the circle close to the road, and the altar stone. “It’s exactly as I thought it would be,” said David Gray from Manitoba in Canada, as we reluctantly walked back to the 21st century. Is that that a good thing, I wondered? “Yes, it’s a very good thing,” he replied. From 16th December to 3rd January 2010 visitors can enjoy a stunning exhibition – ‘From the Earth to the Universe’, which features incredible images of objects across the Universe- from stars to planets to nebulae and galaxies, all created using telescopes. 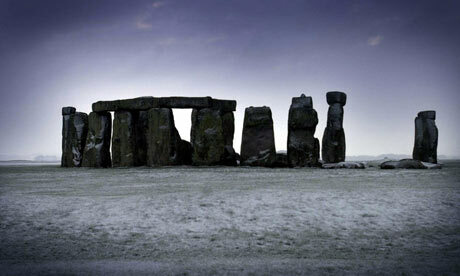 In the run up to the Winter Solstice, from 16th to 19th December leading specialists – both archaeologists and professional astronomers will be on hand to answer any questions you might have. For further information on the International Year of Astronomy, Royal Astronomical Society and celebratory events at Stonehenge visit the event’s website. 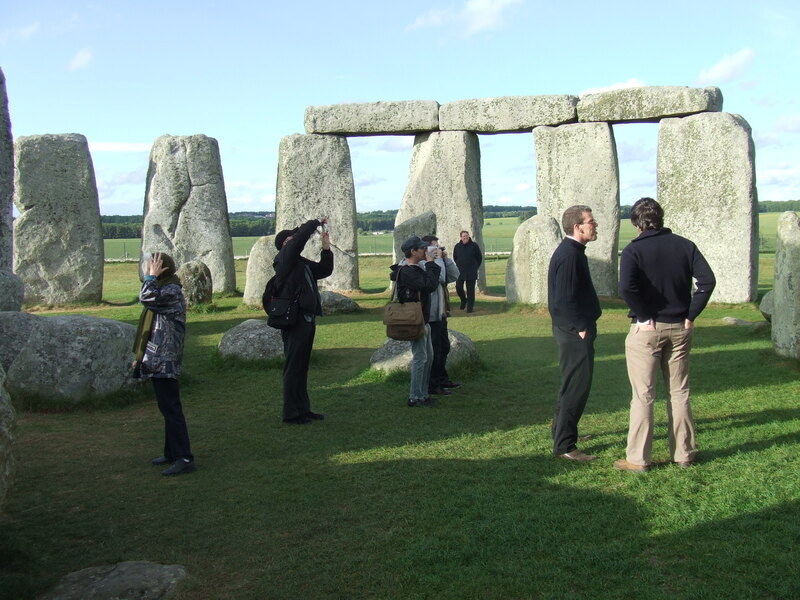 I frequently get requests from tourists wishing to visit Stonehenge requesting who to travel with – here we go………….. Sadly not all operators offer a great experience. 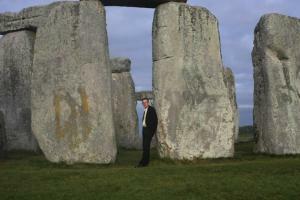 I am familiar with the good and the bad and have provided a link to a Stonehenge tour website that has managed to negotiate special discounts and only use the best companies and approved guides. The advantage of booking through them is that you get ‘real time’ availability and instant booking confirmation. 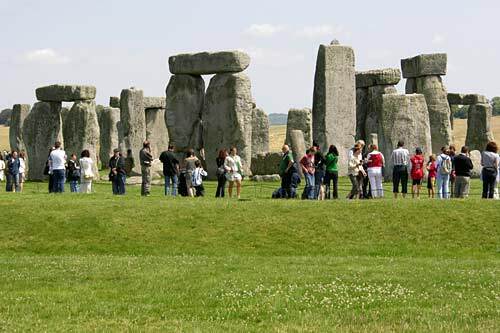 Stonehenge is the most visited attraction in Britain and by far the most popular tour so booking well in advance is essential, especialy if you are tring to join a ‘Stonehenge special access’ tour where there are very limited dates. Click here to view all the Stonehenege Tours avaialble – enjoy and good luck! Should you prefer a more personal experience and would like to visit Avebury Stone circle, Old Sarum, buriel mounds, Silbury Hill and even some crop circles please contact me for a private tour – I’m not greedy and a garantee a truly memorable day.